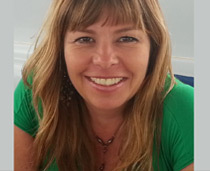 Originally from Santa Fe, NM, Victoria has been licensed and practicing massage therapy full time since 1996. 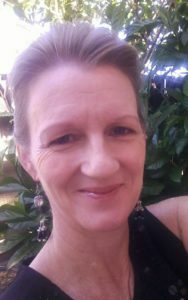 She is trained in various modalities such as Swedish, Medical Massage, Deep Tissue, Ashiatsu, Cupping, Reflexology, Hot Stone, Pre-natal, Chair Massage, and more. She is constantly training to keep up with the latest modalities. She has a deep passion for her work, and genuinely cares about her clients and their well being. She has set an atmosphere where you can completely relax and let go of the days’ stressors while receiving quality body work. 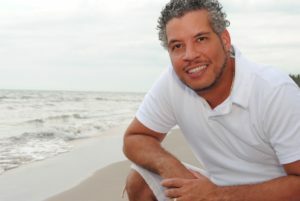 Jayson Serrano is more than your typical massage therapist; he’s a professional, natural healer and a listener; he truly cares about helping each of his clients feel better through massage therapy. Beyond relaxation and sore muscle relief, Jayson focuses on your problem areas for long-term benefits and can even help to resolve many medical ailments. He offers a variety of massages and customizes them for each client. Some of the massage favorites are: Swedish, Aromatherapy, Medical, Sport, Deep Tissue, Neuromuscular Techniques, Trigger Points, Swe-Thai stretching, Craniosacral Reflexology, Hot Stone, Chair Massage, Lomi lomi and others. He will focus on the areas of the body related to the condition. Jayson Serrano is trained in over 30 different modalities and Certified in Medical massage and Swe-Thai massage. Shawna has a background in nursing, and practiced in a hospital for 10 years. She now helps people heal with the wonderfully natural power of massage therapy. She is trained, and proficient in Deep muscle therapy, Trigger point therapy, Neuromuscular release, Restorative, Pre-natal, and Hot Stone massage. She was trained and is licensed here in Florida. She has a deep compassion for people. Every one of Shawna’s clients always receive the best possible care they can from her. She communicates well with her clients and sends them home with useful knowledge to help extend the benefits of their treatment. She’s top notch in her profession, and as a person!